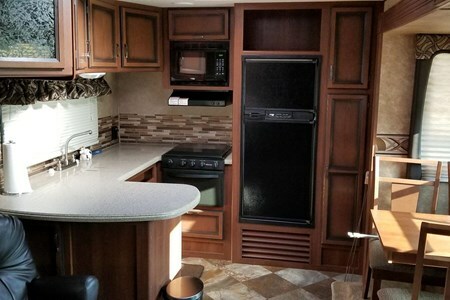 Let us make your travel vacation a spectacular adventure. 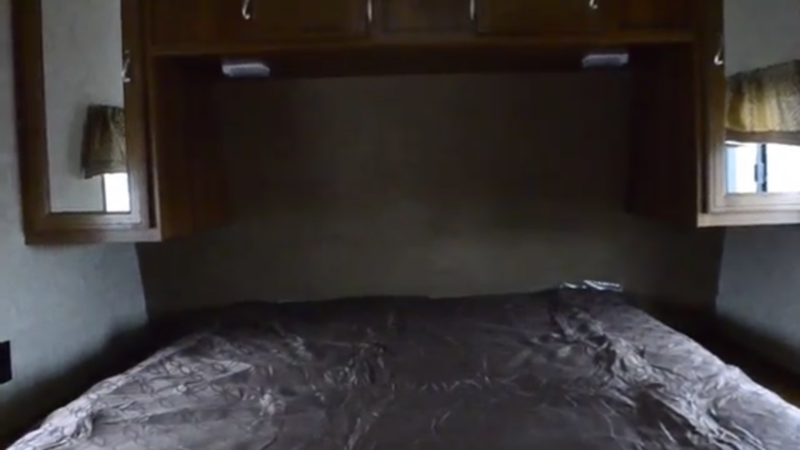 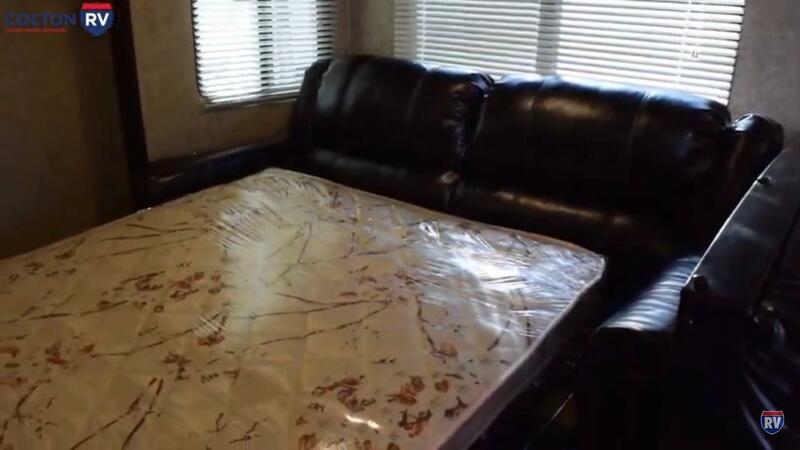 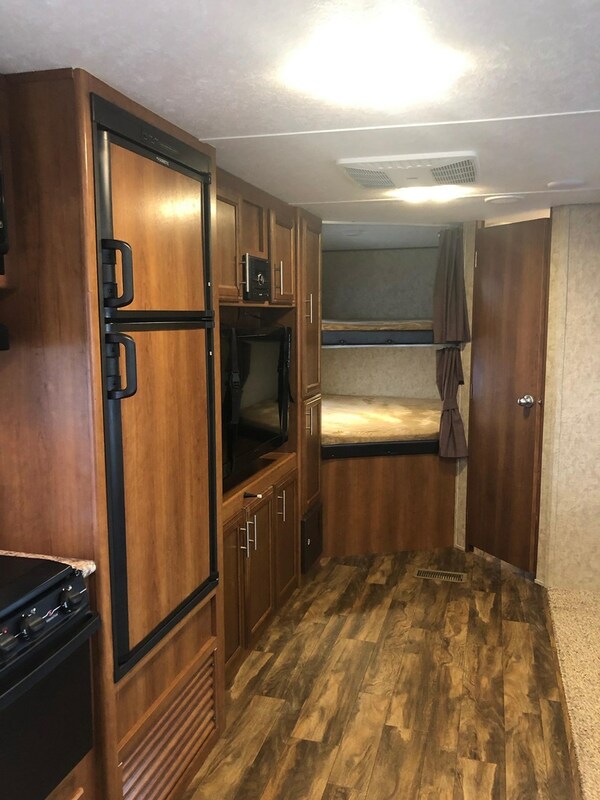 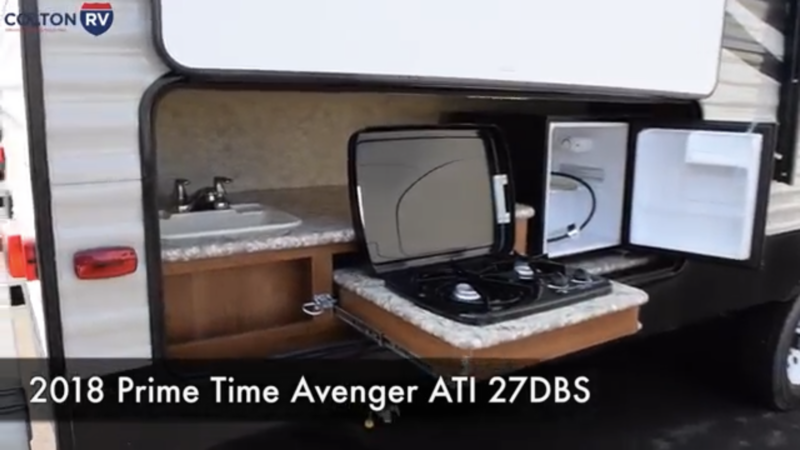 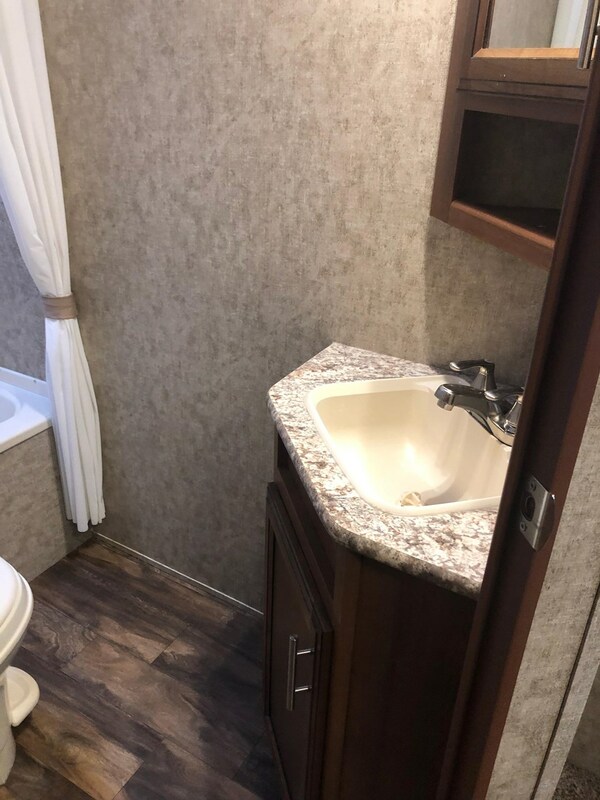 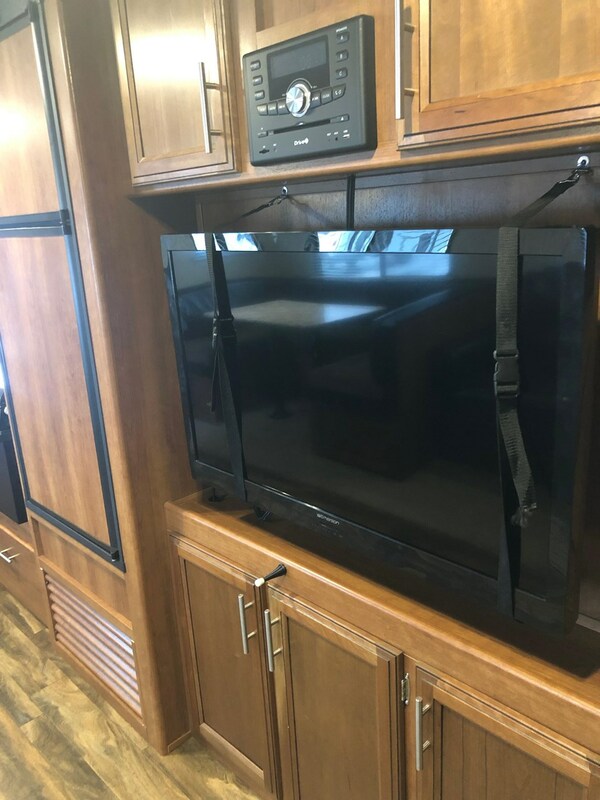 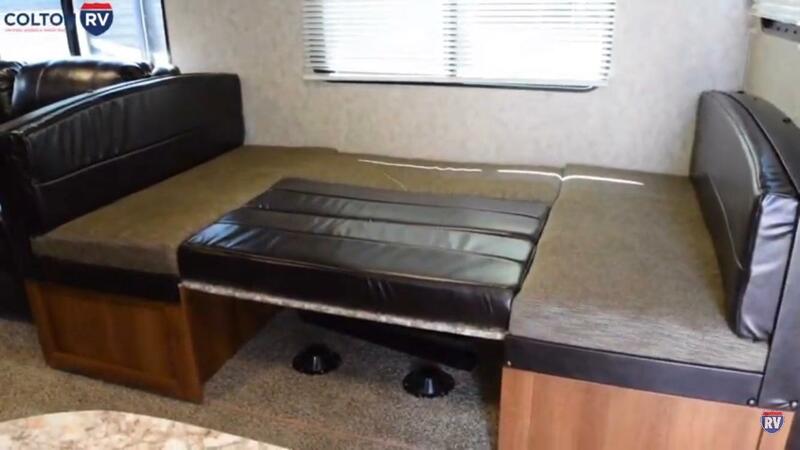 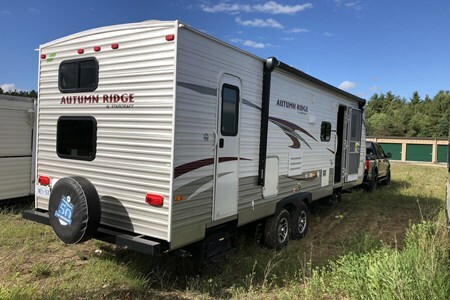 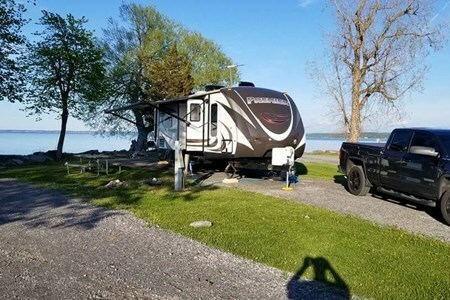 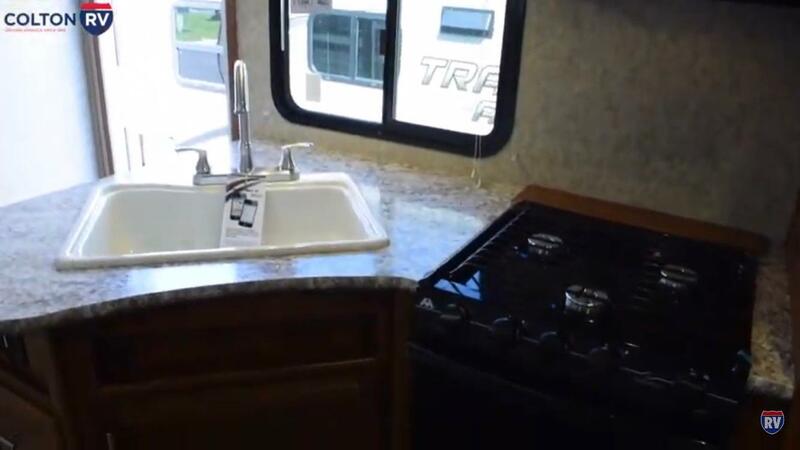 Brand new 2018 32' trailer with room for everyone including pets. 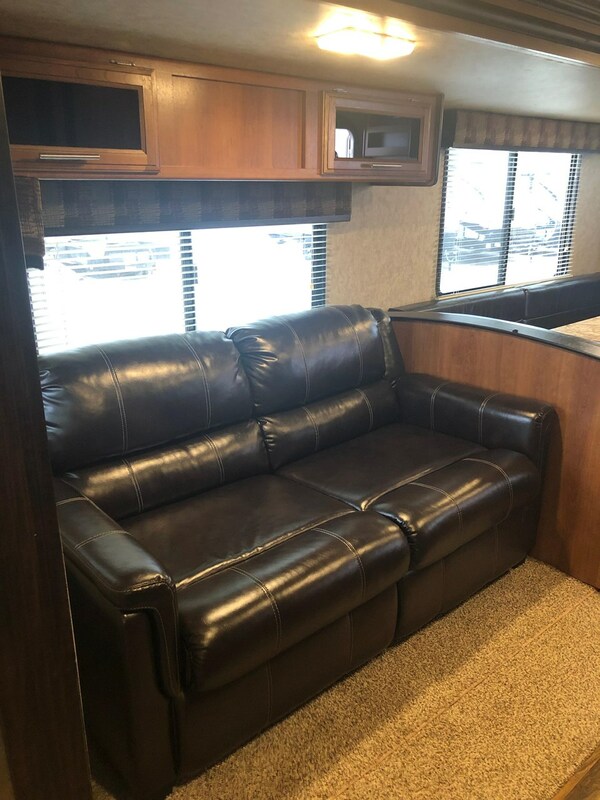 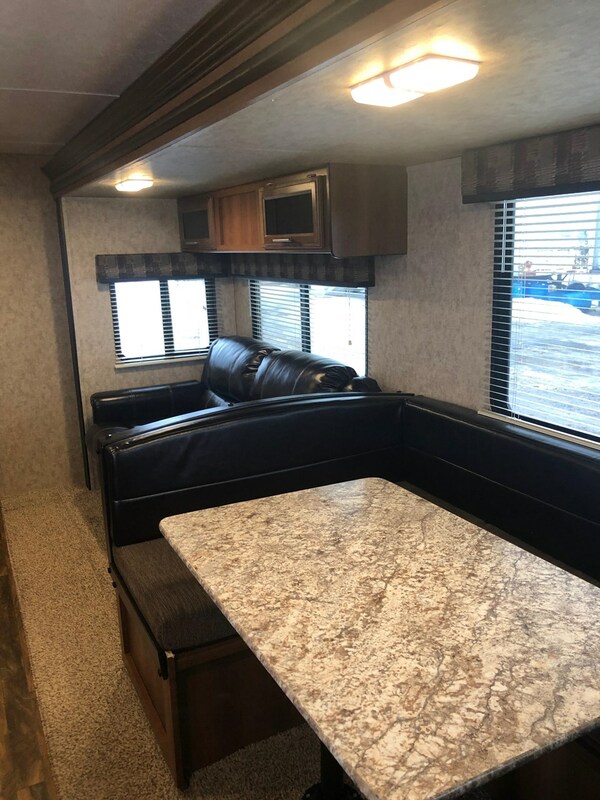 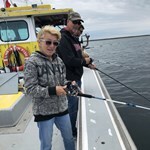 Very spacious interior design with queen bed in separate front bedroom, double bunks in the rear fold out sofa and drop down dinette, this unit will sleep 8 people comfortably. 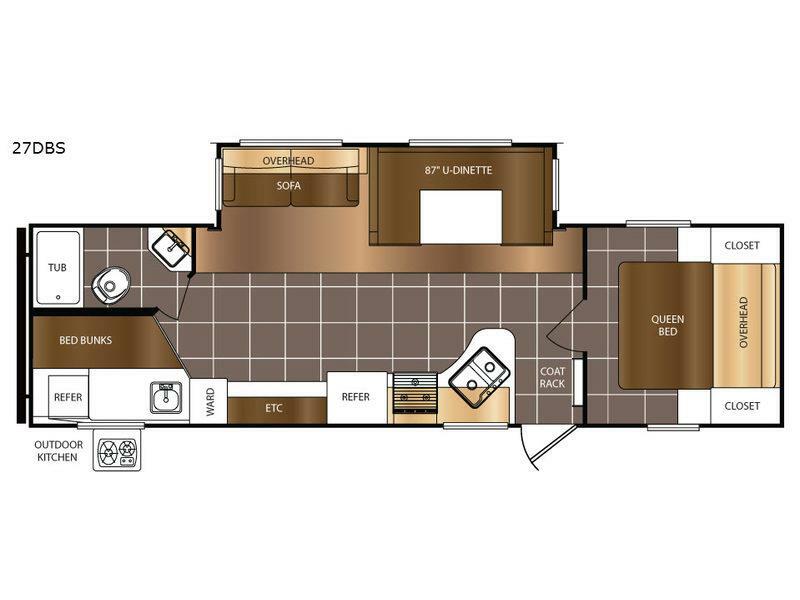 Enjoy large central living area with sofa, large u-shaped dinette, fully equipped kitchen with all ammenities, large flat screen TV with DVD, stereo with Bluetooth. 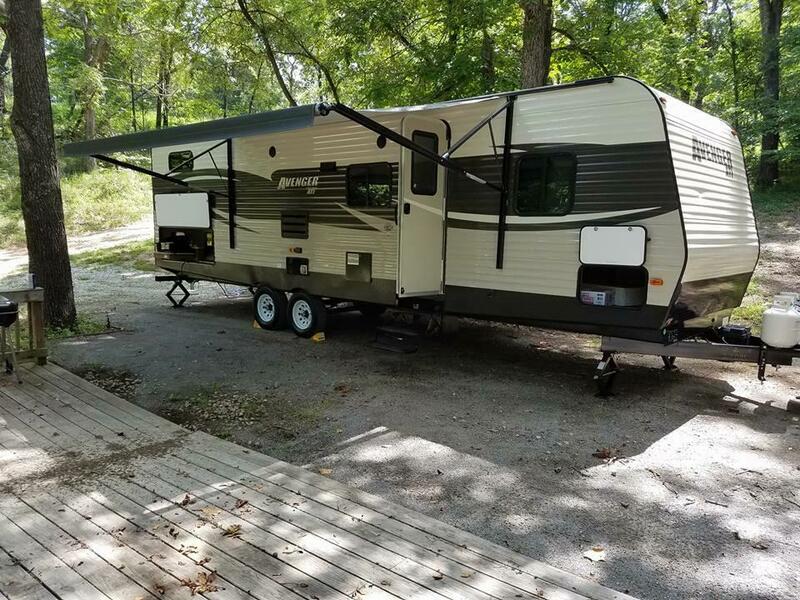 Exterior comes with outdoor Kitchen, outdoor shower, large power awning with LED lighting and speakers, propane BBQ and large outdoor mat.